Langley Therapist: Angela Herd - Therapist V2Z 1N3. Angela Herd has enjoyed over 20 years of partnerships, with children, youth, seniors & their families seeking increased mental health & wellness . · Over 10 years of employment within Surrey elementary & high schools, supporting children & youth who required support to cope with academic, behavioral, emotional and social issues within the classroom and within their home. · Acute Psychiatric Hospital and Forensic Psychiatric Hospital providing art therapy and group therapy. · Over 15 years of community agency work attending to issues such as depression, anxiety, sucide, grief and loss, marital discord/separation & divorce, family violence, parenting, teen-parent mediation and self-care strategies for professional helpers. Angela respects and values people for their unique qualities and strengths that they bring to the counselling relationship. She believes that all individuals have an innate drive towards healing and wholeness and that in the face of challenging situations, people do their best to cope using the best skills that they know. Angela’s goal of therapy is to empower individuals, couples and families to participate as co-counsellors who discover and build a personal tool-box of problem-solving skills/strategies and creative resources to increase strength, resiliency and greater life satisfaction. 1. Angela helps family members to understand one anotherand their different perspectives, attitudes & behaviors. Understanding various perspectives is supported through the supported practice of listening, empathy and curiosity. Angela supports marital & family change through a combination of individual, marital & child/parent sessions; as well as, with the family as a whole. 2. Couples & family members learn to value differenceswithin the family as they gain awareness of healthy connections. All families have strengths and skills. Angela provides support to identify and build upon existing strengths and gifts held by members and the system as a whole. 3. Education to increase parental knowledge of normal child and youth development is provided to help build a framework to understand and manage child/youth behavior. Angela helps families build a toolbox of strategiesthat foster connection, communication and laughter. The use of these tools increases confidence & resiliency that can be drawn upon during challenging and stressful periods that occur within the lifespan of all families. Angela has a passion for helping individuals & families grow strong! She believes that healthy individuals build healthy communities and that everyone benefits when their community is well! 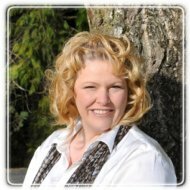 Angela is the Past President of the board of directors for the Canadian Mental Health Association South Fraser and is a current member of the Langley Township Youth Advisory Committee. Angela is an instructor for Mental Health First Aid for Adults Who Interact with Youth through the Mental Health Commission of Canada. Angela invites partnership with community members and stakeholders to invest in the building of healthy communities through the support of quality education and best practice services related to Mental Health.